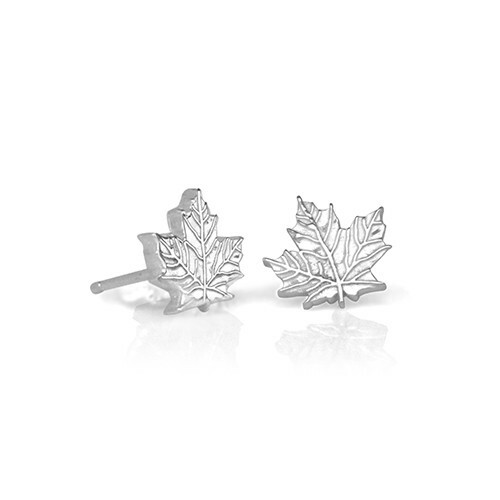 These petite maple leaf stud earrings are a lovely way to show your Canadian pride. 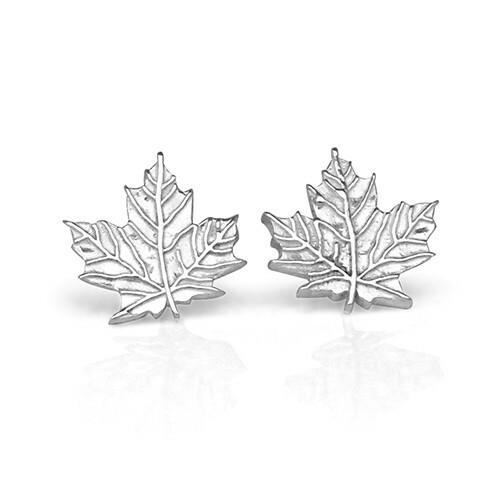 They come in two sizes: 7 mm (can be purchased as single earrings or in pairs) and 10 mm. These earrings typically ship in 1-3 weeks. Please contact the studio for prices in 18K gold and platinum.